We’re shooting to strike gold again. 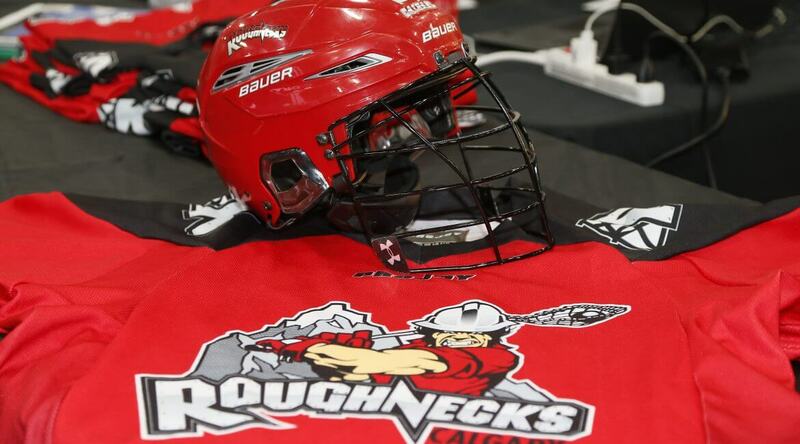 The Roughnecks look to add even more young talent to their roster at the NLL draft on Sept. 25 in Philadelphia. And with four first-round picks (Nos. 6,7,12,13), there’s a good chance to duplicate the success the club had in 2017. To refresh your memory – if the Roughnecks were graded on last year’s picks, they’d be top of the class, making some A-grade additions to the team. Transition star Zach Currier was chosen in the first round, third overall, at Toronto Rock Athletic Centre in Oakville. He went on to have a sensational rookie year, as the Princeton alum quickly became a major contributor on the floor. In 18 games, Currier scooped an impressive 200 loose-balls – the first rookie to lead the NLL in that category – and caused 33 turnovers, while tallying nine goals and 13 assists. Currier was also nominated for both the NLL Rookie of the Year and Transition Player of the Year honours. Next, the Roughnecks chose defender Tyler Pace in the first round, ninth overall. The 23-year-old had a stellar campaign, proving his versatility in a relatively new defensive/transition position after spending the majority of his career playing offence in the BCJALL and midfielder at the University of Denver. In 13 games Pace scooped 37 loosies, and notched 19 points (6g, 13a). With their last first-round pick, the Riggers selected Ryan Martel 11th overall. Martel played five games, recording three goals and four helpers. The lefty also competed in playoffs, with appearances in both the West Semi-Final and West Final. And in the second-round, Anthony Kalinich was chosen 21st overall. At 20-years-old, Kalinich is the youngest Rigger, but he packs a heckuva punch. Lauded by teammates and coaches as being “strong as a bull”, he was a defensive force to be reckoned with during his inaugural season. In eight games, Kalinich scooped seven loose balls, and caused three turnovers. For a full listing of all-time Rigger draft picks click here.